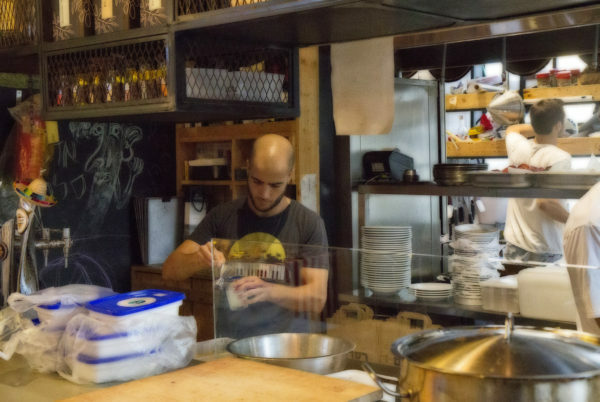 Rak Hayom, a restaurant in Tel Aviv’s Shuk Tzafon which prides itself on the freshest ingredients, now features dishes with Project Wadi Attir’s dairy products, particularly our labneh! 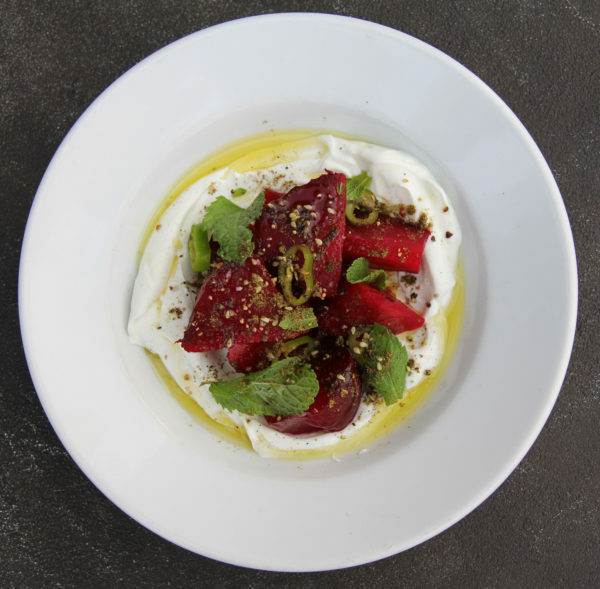 The menu changes daily, but our labneh has already been paired with beets and fresh peaches. In the below photo, it is served with beets, olive oil, spicy green peppers and mint. They are also using our products in desserts. 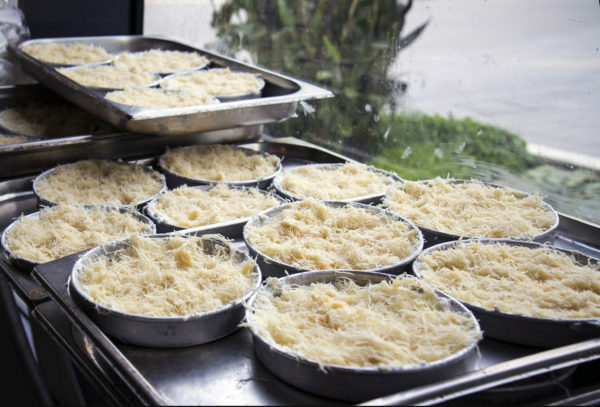 Below you can see the Arabic treat Qatayef, a sweet dumpling filled with cream or nuts, before it enters the oven. This recipe uses our Jibneh cheese. 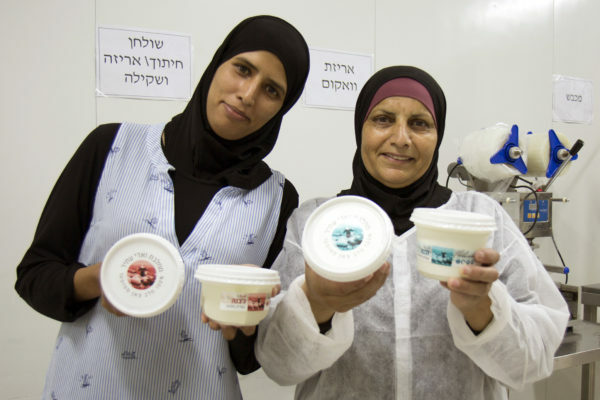 We are so proud that our products are finding a home with gourmet establishments like Rak Hayom, thanks to the hard work of Um Atia and Asmaa (pictured below). We know this is only the beginning!